What a well put together album! Phil's employed lots of his friends and family to make this album a delight. We've seen Phil many times at festivals and the like, he's an accomplished musician with a great love of blues music. He uses a variety of instruments to bring out the character of each song, and on this album he's enrolled other names from the ukulele world such as George Bartle on vocals as you'd expect, but did you know he was a brass player too? Percy Copley on Mandolin and various other Dolemans to play flute and tap dance. So, the whole album isn't just a trubute to the banjo, each song has different character. Phil's a fan of using a microphone for instruments, and his last album with Ian Emmerson employed a single microphone for all of the vocals and instruments. True to the sound, but this time, everything is recorded so you can hear all of the detail. The album starts with 'Walk Right In' - I remember the cover by Dr Hook back in the 70s, but it's more detailed and just as catchy here. 'Tain't Nobody's Business If I Do' breaks out into a jazzy brass riff along with a great bass line. Phil's also an accomplished bass player, too. When you see Phil on stage, he often gives you a little explanation about each song, maybe its history, or what it's about. On the rear of the CD case, there's a line about most of the songs. 'Potato Chips' got me hungry. Apparently, 7 1/2 bar blues is a thing (Just as I thought I understood 12 bar blues). It's a catchy repetitiveness in Mississippi Heavy Water Blues. Listening to this on a modern, high end amplifier and some top notch speakers was a ridiculous thing for the last track Big Bad Bill (Is Sweet William Now). Recorded on a wax cylinder, you get an idea of what recorded music sounded like before the age of the transistor and a flat frequency response! In the right hands, the banjo, and resonator ukuleles are great instruments. Phil has those hands for sure. In the wrong hands, they can be overpowering, but they are absolutely used the right way here. 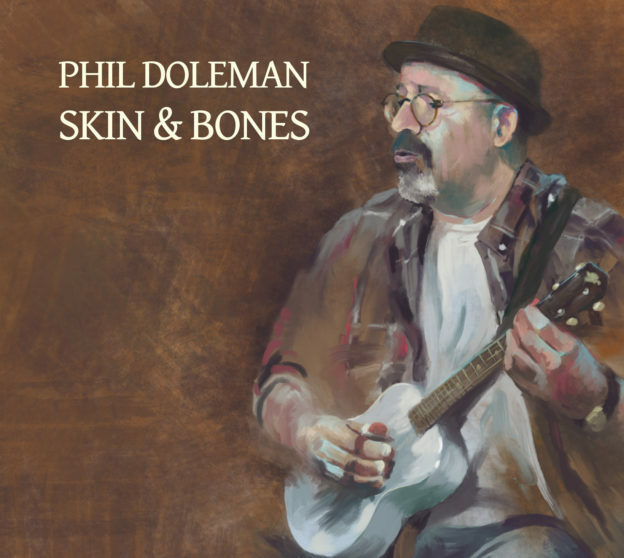 This album is a lovely tribute to all those song writers and performers from almost a hundred years ago, Phil's used other resources to colour in the arrangements, those old time performers would be proud, and Phil (and his co-performers) should be too. Go to Phil's website to buy and see his other stuff, too. He's also got a great book about "How Music Works On The Ukulele". I'm a little worried that Phil might convert Simon to the banjo, but I know that Simon hasn't got the right hands.